Nina, Ivy and Oswald know a huge secret. There is a hidden room in the Lost Bookshop and the books inside are magic, transporting the children to untold adventure. When they find themselves zapped by the wand of a witch with a glitch they begin a race against time to reverse the spell. They must find the mysterious Izzy before the clock strikes midnight on Halloween or risk being stuck in the fairytale land forever. 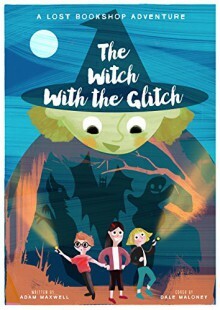 The Witch with the Glitch is an exciting, funny and thrilling chapter book for middle grade readers that’s sure to have you desperate for just one more page.